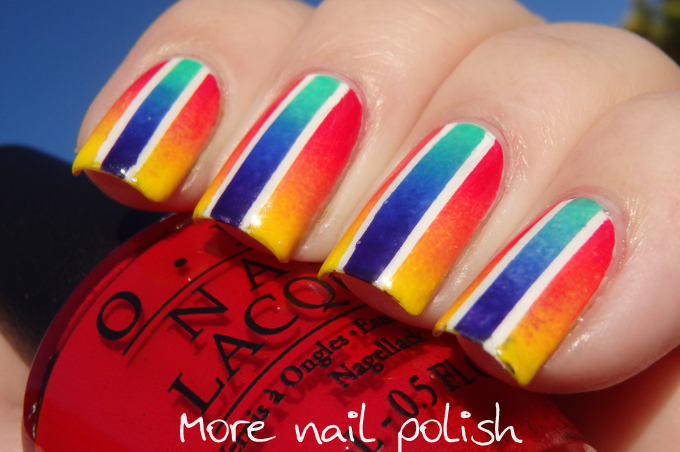 Looking for nail art that is going to grab some attention, then look no further than this design. 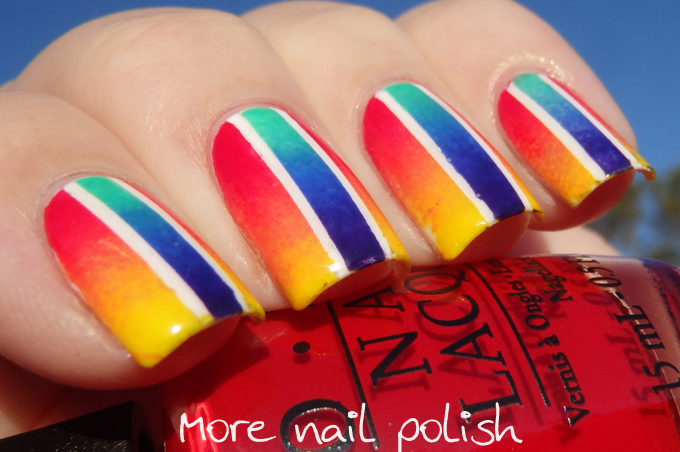 I can't tell you the number of people that commented on these nails! 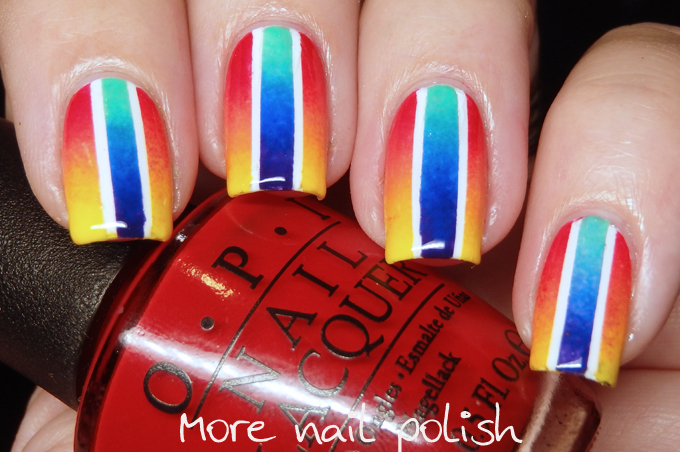 Firstly, credit to Jenna from @Funkifiednails who I saw this design on and had to recreate it! She does some gorgeous nail art and is way under followed on Instagram, so if you are looking for a great account, check hers out. I used four colours in the contrasting reciprocal gradient, red and yellow for the first gradient and then blue and mint green for the second gradient. I achieved the look using plenty of latex nail barrier to cover the bits I didn't want to get coloured with the different gradients, but it's kind of hard to explain how I did it. So instead, watch the 15 second Instagram tutorial. 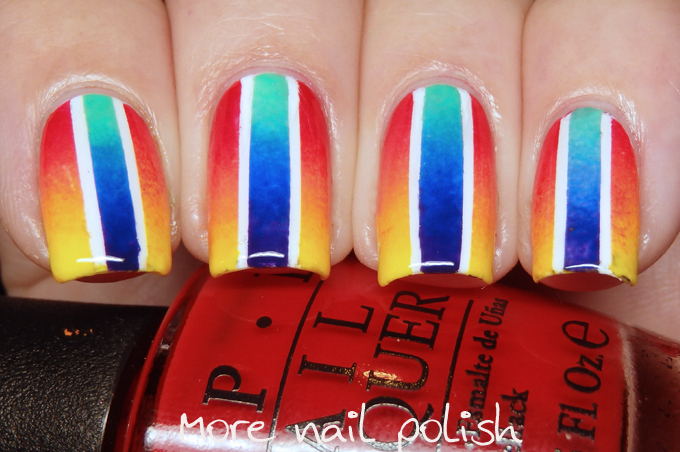 I'll add the Instagram tutorial onto this post after I have posted it in a few hours. So very striking!!! Loving the color choices and pattern!